|SOURCE| Madagascar's colonization is key for tracing prehistoric human dispersal across the Indian Ocean, but exactly when human settlement began in the island remains unclear. Several pieces of evidence, including archaeological findings such as chert tools and charcoal, provide a direct indication of human occupation in Madagascar from about 1500 years before present (BP). However, recent studies have suggested that the island's early settlers made first landfall as early as 5000 years BP, based on indirect evidence from animal bones with damage (cutmarks) presumably resulting from human activity. 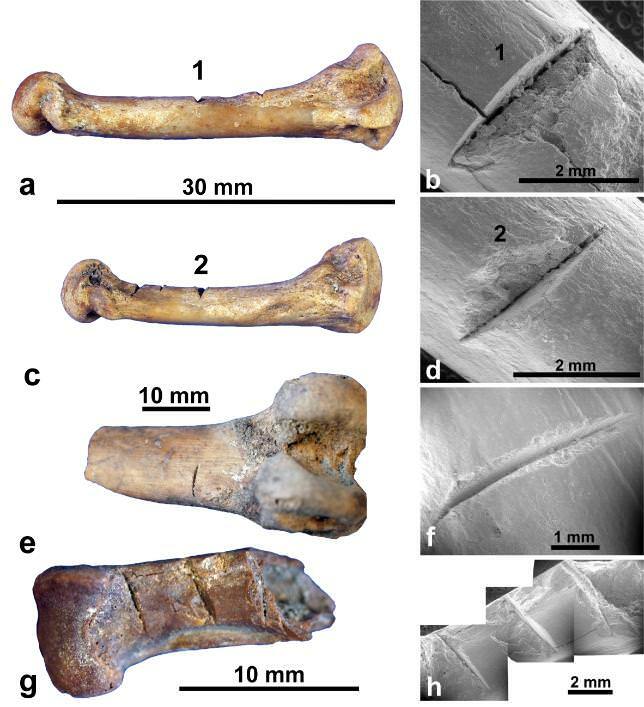 Anderson and colleagues revisited these bone collections and excavated three new sites in southwest Madagascar to collect a larger sample of animal bone material. The authors add: "Recent estimates indicate human arrival in Madagascar as early as ~10,000 years ago. Diverse evidence (from bone damage, palaeoecology, genomic and linguistic history, archaeology, introduced biota and seafaring capability) indicate initial human colonization of Madagascar was later at 1350-1100 y B.P. Results have implications for decline and extinction of megafauna, a proposed early African hunter-gatherer phase, and transoceanic voyaging from Southeast Asia."